Ubiquiti Networks introduces the UniFi® EoT (Enterprise of Things) product family. Targeted for businesses of all sizes, UniFi EoT is designed to blend seamlessly into existing deployments of UniFi network systems. 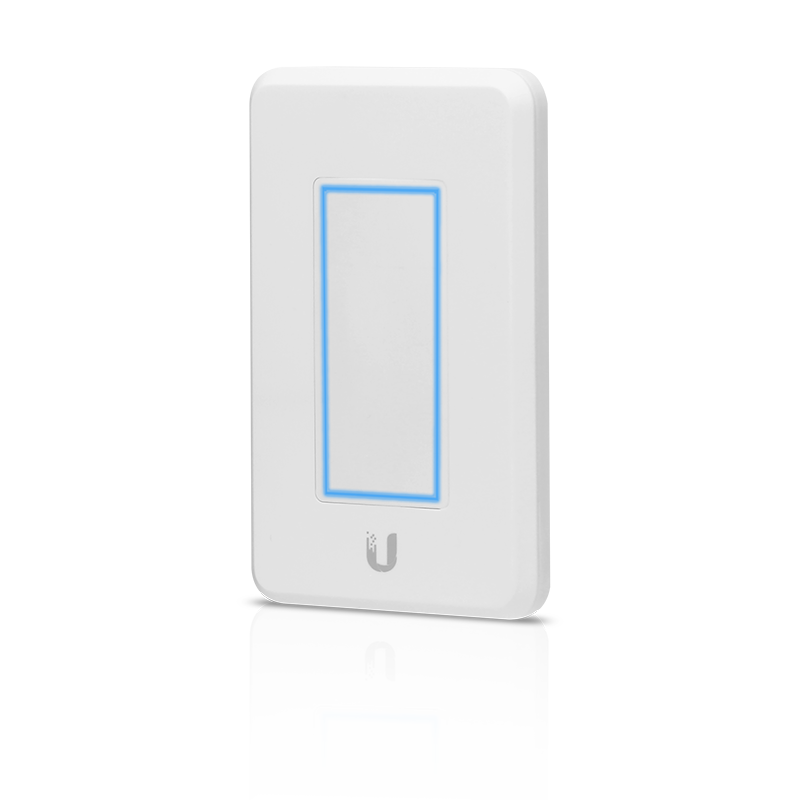 UniFi Dimmer Switch Uses 802.3af PoE power and lets you directly control one or multiple LED Panels. You can switch panels on/off or adjust their brightness (10-100%). UniFi LED Controller Software (Beta) Browser-based interface, hosted on a UniFi Application Server or Ubuntu device, provides easy management of your LED devices. UniFi LED App Mobile app (iOS or Android™) allows remote configuration via an AP connected to the LAN. Network Manageable The UniFi LED Panel integrates seamlessly into your enterprise network, for complete control of your lighting system from a single point. Safe, Economical Installation The UniFi LED Panel uses low-voltage DC power (PoE+), so it is safer to install than AC-powered lighting. PoE+ also does not need separate power cables, so you save on labor and cable costs. Control Flexibility The UniFi LED Panel can be controlled remotely using the UniFi LED Controller or UniFi LED app, or locally using the UniFi Dimmer Switch. Save on Maintenance Long-lasting LEDs (50,000+ hrs) and one LED panel versus three tubes per fixture mean less time spent changing lights, saving both time and money. Download the Ubiquiti UniFi LED and Dimmer Switch Datasheet (PDF).